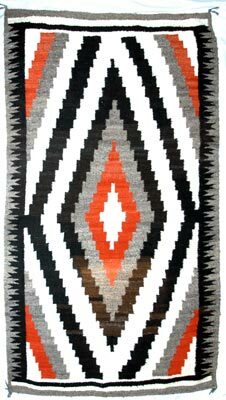 Description: Classic pattern made by renowned native weaver Lupe Piaso from Albuquerque, New Mexico (now deceased). 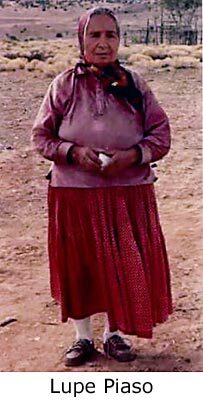 Lupe raised the sheep, sheared them, carded the wool, dyed the yarn with natural dyes and wove the rug 78.5" x 51". A labour of love from start to finish.